My trusty Polaroid SX-70 Sonar was a little beaten up when I bought it off of Amazon a few years ago and was in need of a new leather reskin. With the new lower price of SX-70 film available from Polaroid Originals, I have a new fondness for the Sonar. The camera works well, but the leather had scratches and dents, so it was time to give it a fresh look. I was originally going to send the camera to an online shop to be refurbished and reskinned, but my wallet said I needed to tackle this job myself. I found a very helpful video on YouTube by Analog Things on how to remove the old leather and started gathering what I needed to get started. 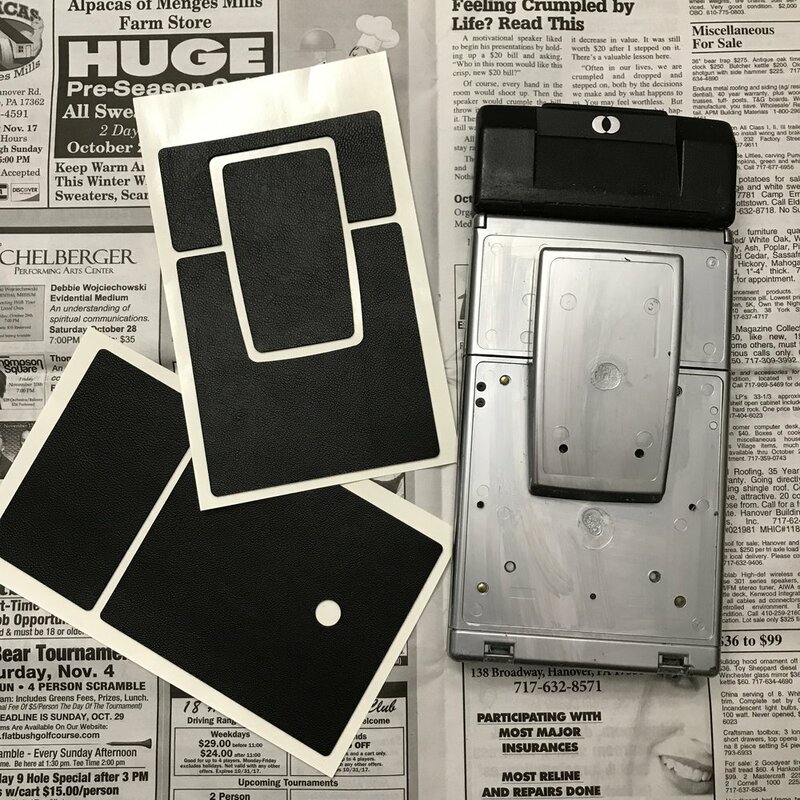 I went to HugoStudo.com to find a nice selection of SX-70 skins to choose from, thinking that I would give the old sonar some bling with a color skin. But I eventually decided on a $20 classic black leather skin to restore it to it's original look. The skins are made to fit your specific SX-70 model and have adhesive on the back for easy installation. I used cotton swabs, nail polish remover, a small bottle of low odor paint thinner, a utility knife, an x-acto knife, and some elbow grease. Removing the old leather and putting on the new skin took about two hours and looked so good that it now needed a classic leather SX-70 camera strap to complete the makeover. I picked up a black Impossible SX-70 strap from Focus camera for $19.99 with free shipping. B and H Photo had a used Mint SX-70 lens adaptor set for $59.95 that included a ND filter, close up lens, fisheye lens, and a couple of other filters, for about half the price of a new one, so I ordered that. 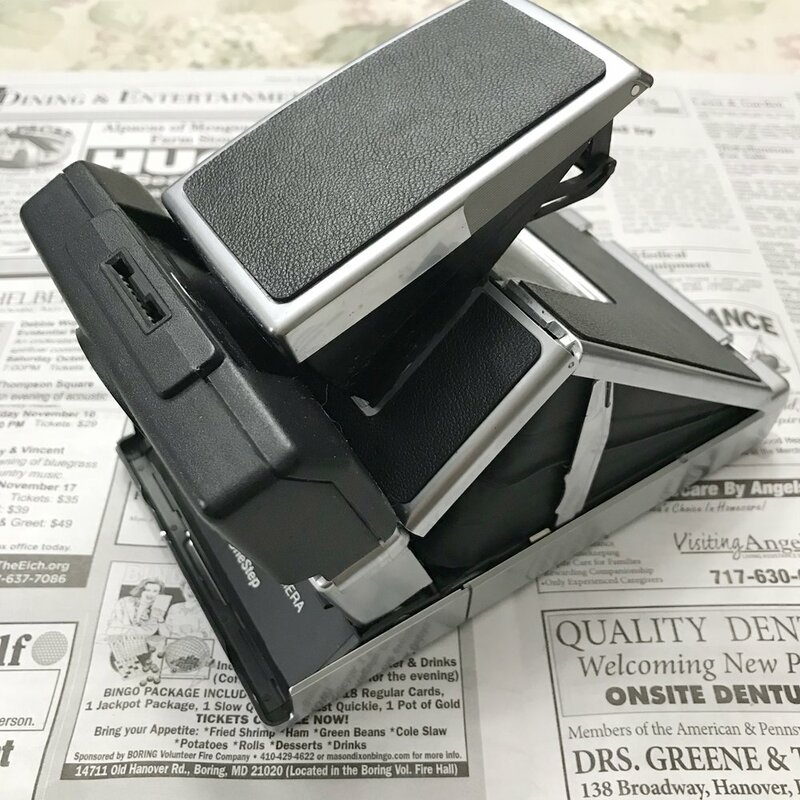 I've been thinking about getting the Mint flash bar as well, but I might pick up one of the vintage SX-70 electronic flash attachments instead for a fraction of the cost from ebay. 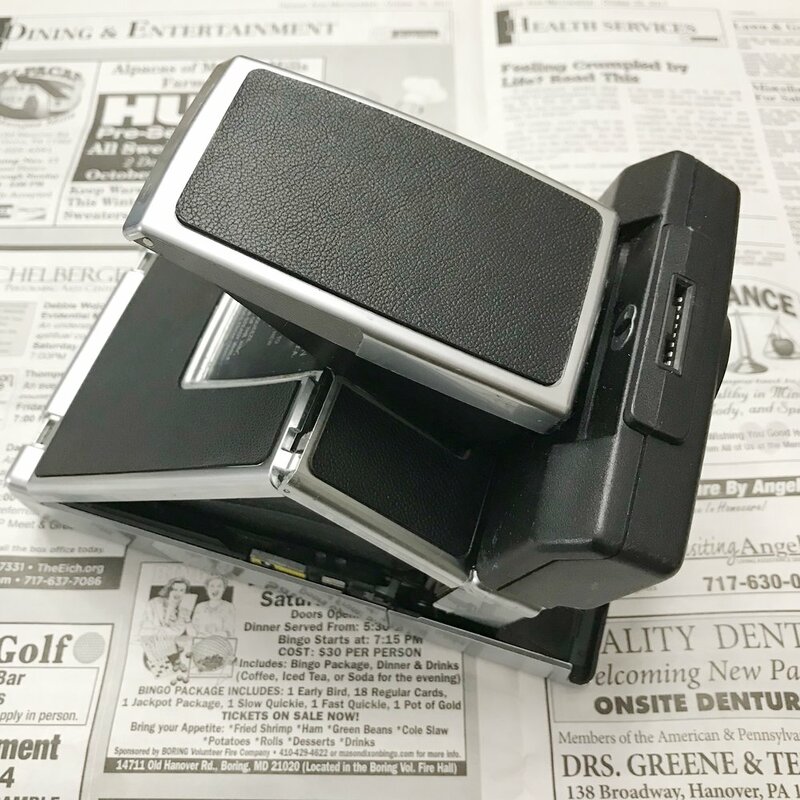 So far, I've upgraded my Polaroid SX-70 Sonar for about a $100, with the flash attachment likely to cost an additional $27. 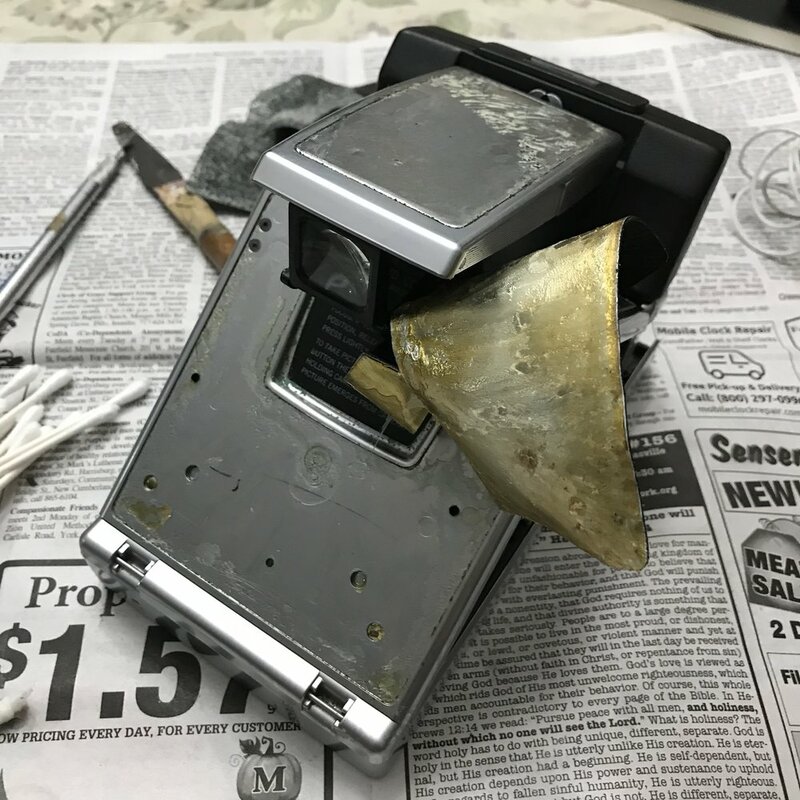 The success of this project lead me to purchase a sorry looking Polaroid SX-70 Model 3 from ebay for a few dollars which will be my next camera restoration project.